I went visiting teaching this morning (yes, I know it's the end of the month :)). I wanted to take along something fun for Halloween. 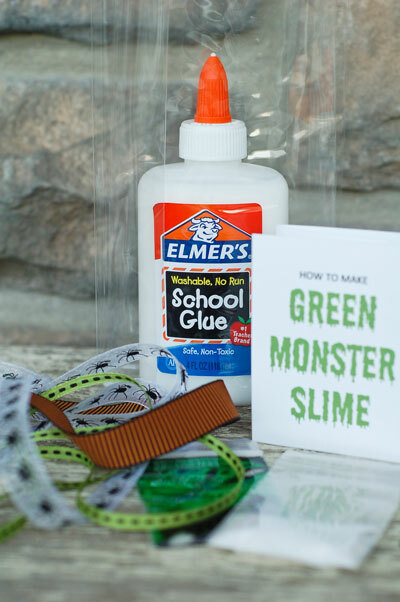 We had such a good time and got so "freaked out" making magical monster slime yesterday, I thought I'd put together a kit with the supplies so Cami could make it with her own little monsters. Fold your how-to card on the lines into a tri-fold like this and it fits perfectly in front of the bag. So simple and I love a gift or favor that's also an activity. I almost forgot. The font I used for the how-to card is Shlop from Font Squirrel. Cool, huh?! Love your blog, glad you told me about it! I must get it on my reader. 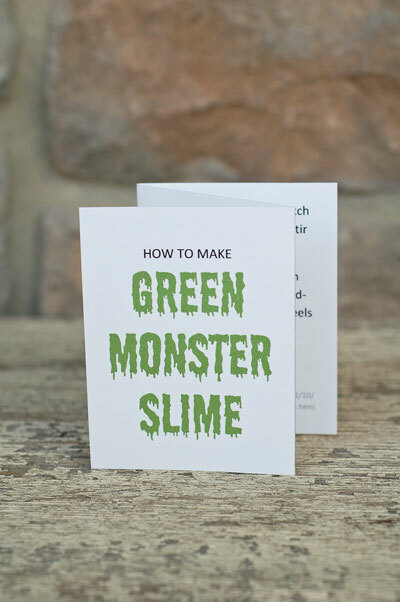 We didn't have time today (my boys are still partying with grandma tonight), but they were very excited to see the slime kit on the counter! Love it. I'm going to do this for my son's school party! What a fun idea! I love it! I'll add it to my list. Love it! Thanks! Made some with my two boys this week. Making the gift bags today for a sick neighbor and a birthday present! Thanks for this cute card too! Making this for my daughter's Monster's Inc party. Think the kids will love it! Thank you for the printable! Awesome Idea!!! Doing this on the weekend for my daughters preschool class. 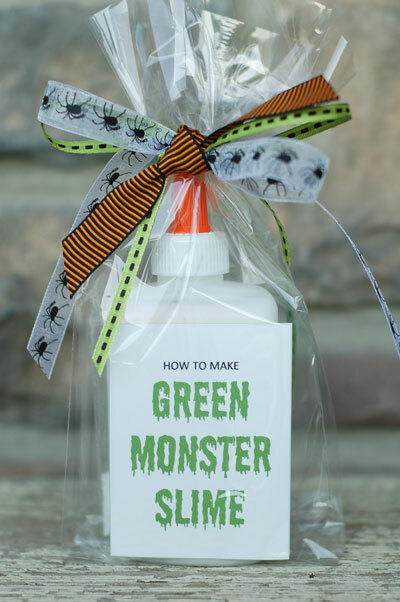 I know you made this monster slime kit a couple of years ago, but I LOVED using it last October for my little girl's Halloween party!!! It was such a HIT!!! Would you consider making a card for a Valentine's Day slime kit she can give her pre school friends? It would be absolutely adorable? Maybe with confetti hearts and pink or red coloring? :) It would definitely be re-pinned so many times! Also, it loaded MacKeeper and Media fire and an update needed for adobe acrobat to open it, and it was a mess. Please help me.